Dutch oil and gas giant Shell has just revealed a design for a super-green Concept Car, one the firm says could provide up to a 34% reduction in primary energy use when compared to a normal, petrol-guzzling city car. The diminutive three-seater isn't set for production, but stands as more of a positive concept that a car can be considerably better for the environment if everything from the car's body to the lubricants used are co-engineered together. Shell says a prototype of the Concept Car underwent rigorous independent testing, with the results suggesting it would take half the energy required to build and run a typical family car, and 69% less than that required for a sports car. "This is a significant automobile engineering milestone," says Mark Gainsborough, executive VP of Shell's global lubricants businesses which backed the project. "I'm very proud of what Shell's scientists and their partners at Geo Technology and Gordon Murray Design have achieved. Insights gained from this project could be transformational in terms of how we address energy use in the road transport sector." 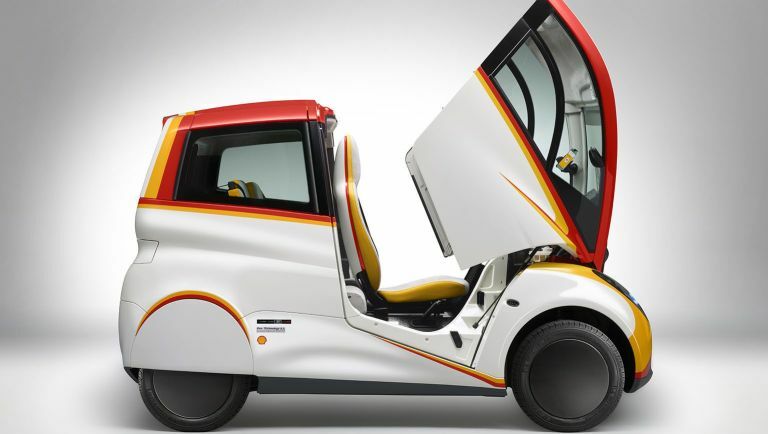 The Shell Concept Car isn't the first time the company has put its collective hive mind to something like this - back in 2010 it worked on the Gordon Murray Design T.25 city car where it created a more energy efficient prototype oil. So why not have a go at designing and buiding a whole car, eh?